The Institute for Apprenticeships is losing a vital member of staff, one who was “instrumental” in setting up the organisation. Michael Keoghan, the Institute’s deputy chief executive, will leave at the end of this month to take up a new job as chief economic adviser at the Department for Business, Energy and Industrial Strategy. He has been director for FE at the Department for Education for six years and worked alongside the IfA’s former boss, Peter Lauener, through its initial set-up phase. A spokesperson for the IfA said Mr Keoghan had “laid the groundwork” for the organisation and has “ensured its successful launch in April 2017 with a talented and highly engaged team that will take on technical education in 2018”. As first reported by FE Week in November, the IfA’s senior leadership team is now under the direction of Sir Gerry Berragan, with Antony Jenkins continuing as chair and its board now established. “I will be very sorry to lose Mike from the Institute; his wisdom, corporate knowledge and support has been invaluable to me in my first few weeks and I know just how much he has done for the Institute and all of its staff since he created it in April,” said Sir Gerry. Mr Keoghan said he couldn’t quite believe the new opportunity he has been given at BEIS. A spokesperson for the IfA told FE Week it would now advertise for a “slightly different” post, most likely for a chief operating officer, to fill the gap that Mr Keoghan leaves. 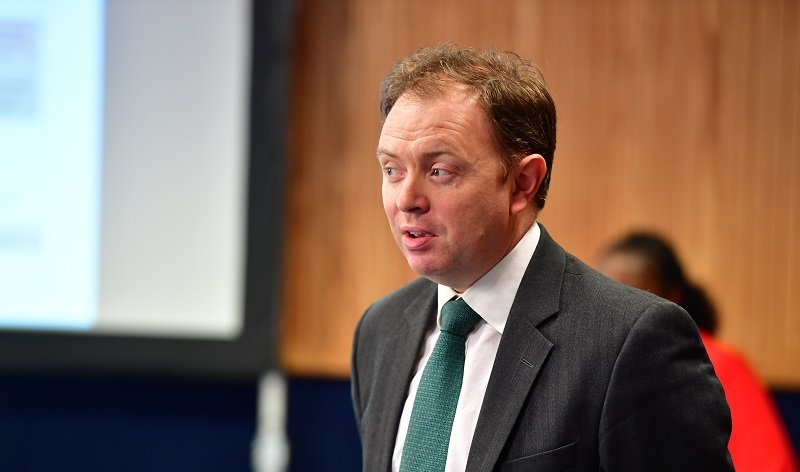 “His role as deputy chief executive was essential when the interim chief executive was double-hatted and could only provide limited time for the Institute,” he said.